Escape the cares of the world at this comfortable oceanside home. 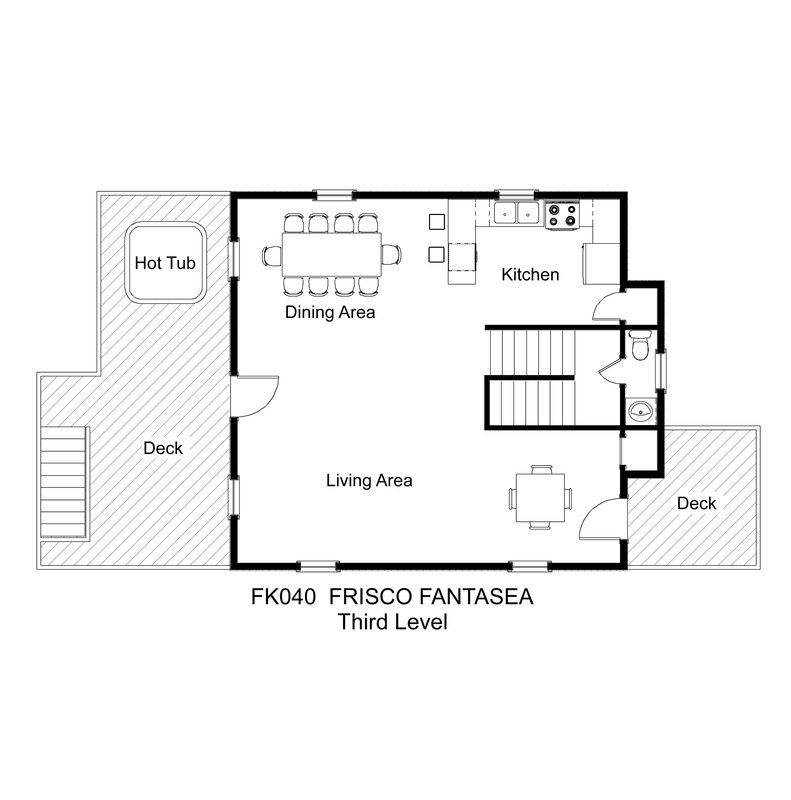 Frisco Fantasea has everything you need for a fun-filled family getaway. Dry entry onto the ground level makes move-in a breeze. The kids will love having their own space in the master bedroom on this level with a double bed and a bunk set, as well as a shower stall in the private bathroom. All bedrooms throughout the home have TVs. The laundry area is on the landing between the first and second floors. Two queen bedrooms on the middle level share a Jack-and-Jill bath with a shower stall, and both open onto the shaded deck. 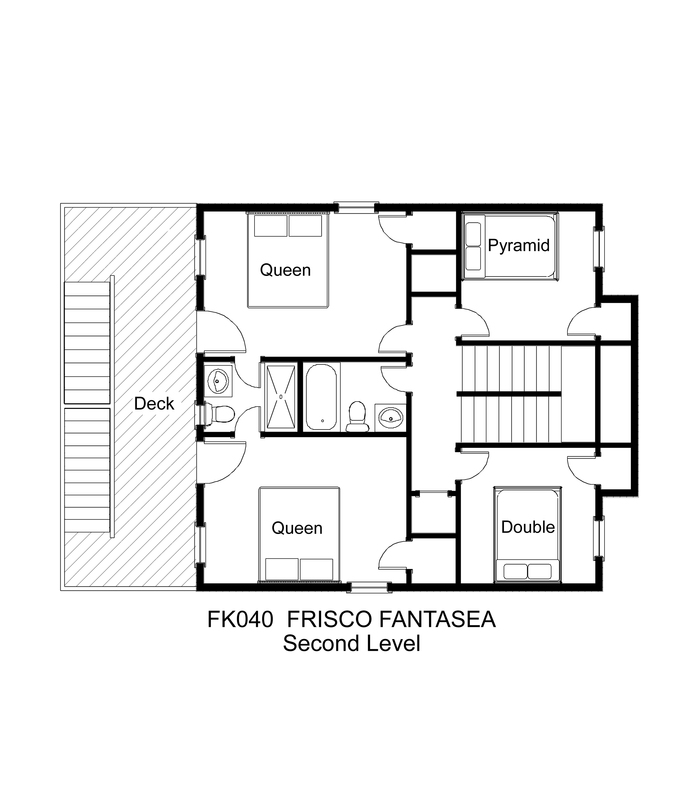 A bedroom with a double bed and a pyramid bunk bedroom share a full bathroom off the hall. A half bathroom on the landing between the middle and upper levels is an added convenience. Spend quality family time in the open living, dining, and kitchen area on the top floor. Dual dining tables provide ample space for the whole family to enjoy a home-cooked meal from the well-equipped kitchen. Step out onto the spacious sundeck to soak in the bubbly hot tub or look for shooting stars by night. A second sundeck off the back of the house has a distant ocean view and is just right for watching the sunrise. Enjoy the easy walk to the beach to have your toes in the sand in no time at all. Shopping, dining, and Hatteras Island adventures are just a short drive away, including public sound access, a 4X4 beach ramp, the free ferry to Ocracoke, and the Cape Hatteras Lighthouse. 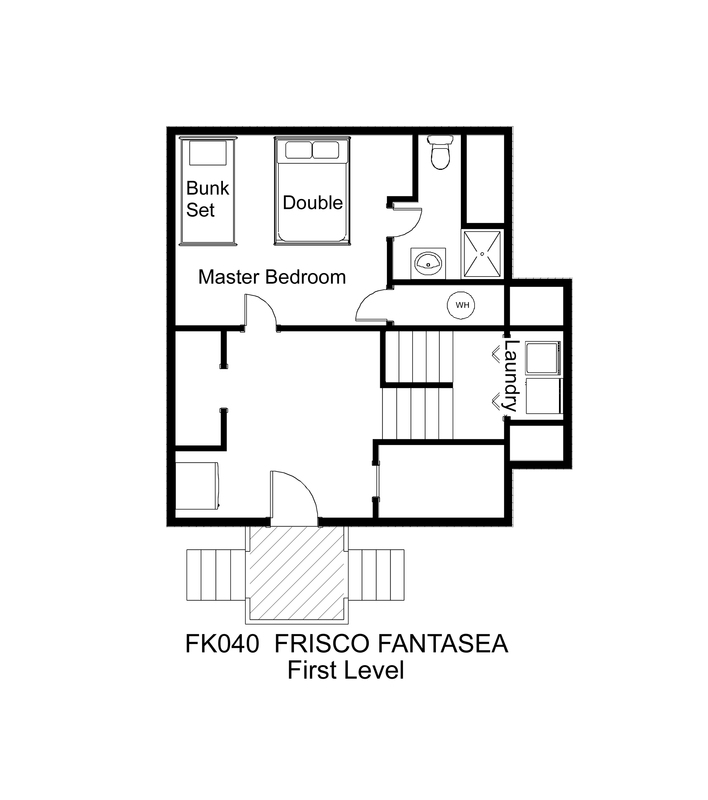 Live out your vacation dreams at Frisco Fantasea. We loved this house. Just a few houses back from the ocean side, it also had unmarred soundside views. We could see water from both porches! Living area was very spacious and the open floor plan allowed for &#34;flow.&#34; Kitchen was well supplied, and the tables were large great for group dining and board gaming. Would absolutely recommend. Wonderful house and near to the beach! Short walk to the beach! Short drive to Buxton and Hatteras. Several restaurants near this home. We will be back. You may want to pack drinking water for the house. I'm not sure why it didn't taste so well, but that's the way it tasted in the local restaurants too. The house is very nice and the large living/kitchen area made it great for our large family.